Everything that we experience every day leaves a long-lasting impression. Some people say there’s nothing new under the sun. I still think that there’s room to create, you know. And intuition doesn’t necessarily come from under this sun. It comes from within. I’m a fan of music, first and foremost. So I do things from the perspective of a fan. I love playing. The keyboard is my journal. Pharrell Williams is a Creative. 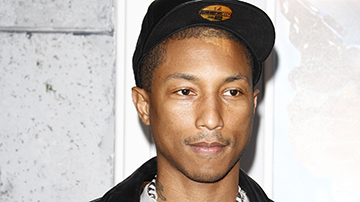 Pharrell Williams is a Tastemaker. Pharrell Williams is a Spiritual.